It is also known as the Lesser Sunda Islands is just several miles from Bali. Some popular places to visit is Lombok, Sumbawa, Flores, Timor and Komodo Island. In this post, you will find out more about Lombok in the West Nusa Tenggara and Flores which is in the East Nusa Tenggara. Lombok, West Nusa Tenggara is an island in Nusa Tenggara Barat (NTB) province in Indonesia. It looks like a circular shape but having a ‘tail’ (Sekotong Peninsula) at the southwest point. Considering its population of 402,296 (as per 2010 Census), Mataram is also the largest city on the island. 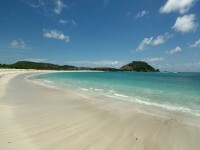 It is also the capital of the Province of NTB situated on the western side of the island of Lombok. There are six districts and fifty kampungs in this city. They are namely: Cakranegara, Mataram, Selaparang, Pejanggik, Ampenan and Sekarbela. There first of the three must see are the Mayura Garden Taman Mayura. it is a water palace build in 1744. There used to be fierce battles between the Balinese and the Dutch forces in 1894. The second is Narmada Park Taman Narmada and it was the King’s relaxation place during the feudalism period. You will see a Hindu temple and swimming pool, a “Youth Fountain” which is believed to prolong the life of a person who drinks that water. The third is the Museum of West Nusa Tenggara. It exhibits everything about geology, culture and hsitory of Lombok and Sumbawa. There are several places of interests to visit in Lombok. You can see the Batu Bolong, Pura Meru, Loang Baloq, Pura Segara, Old Town Ampenan and the Senggigi Beach. If you like beaches and islands, you will see the Kute Beach Lombok, Tanjung A’nn beach and last but not least, the Gili Islands. Flores is different from Lombok. It is an island arc extending east from Java island of Indonesia. It is also with a huge population. Its largest town is Maumere and the name of this place ‘Flores’ means flowers in portuguese. 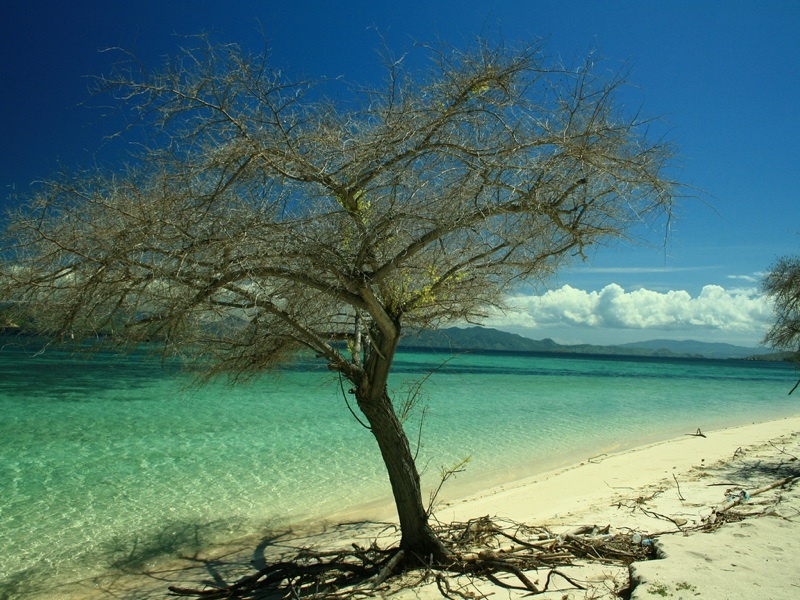 Southwest of Flores is Timor and to the north beyond the Flores Sea is Sulawesi. UNESCO on Flores where the Komodo National Park is situated is right at the border region between the provinces of East Nusa Tenggara and West Nusa Tenggara. It basically is a park to protect the Komodo dragon.